Welcome to Noble Medals, the premier custom challenge coin maker. We provide intense labor to produce stunning and inspiring coins to denote deployment, commemorate an achievement, remember fallen heroes, commend for excellence, display involvement in an organization or to commemorate a significant date. These custom coins will not only last a lifetime, but will develop huge sentimental value among a family. As a custom challenge coin company, Noble Medals works hard to deliver commemorative products that are unmatched. When someone demonstrates exemplary performance or heroic actions, we believe it is our duty to commend and honor them for raising the bar and inspiring others to follow their example. Custom challenge coins are ideal for doing exactly that, and more eye-catching than most other gestures. 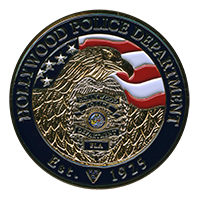 As a leading challenge coin company, we strive to be easy to work with and offer affordable prices. We can work with a wide variety of budgets and help you avoid overspending. 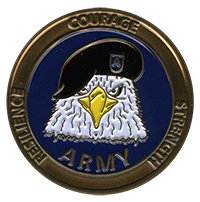 A customized challenge coin is not a trivial token. These coins will mean a great deal to their recipients — so much that many people pass them down from generation to generation. 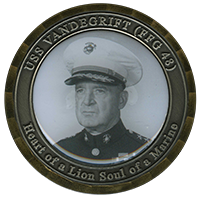 Anyone who has ever received a challenge coin from a loved one or respected figure can attest to that. At Noble Medals, we are truly grateful for the opportunity to honor men and women who have served their country and achieved great things in their lives. 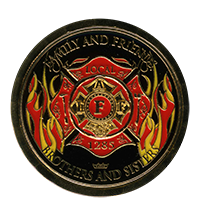 We are confident that we are the highest quality custom challenge coin maker in business and are ready to back it up. Contact Us today so we can prove it!